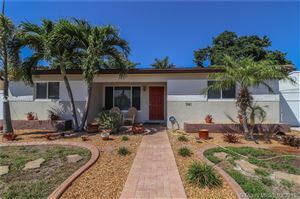 Home for sale in Plantation! Plantation Golf Estates!! Drop dead gorgeous home with equally drop dead views of golf course & sunsets. No HOA!! New roof, updated electrical & new panel. New oven, dishwasher, water heater. 2 new a/c units. Gorgeous updated kitchen and baths. Open floor plan, ramp entry no stairs. Hurricane windows & doors. Amazing landscaping with mango, jack fruit, avocado, mulberry, guava and custard apple trees. Outdoor spa overlooks 12th & 13th holes. Canal leads to ocean! Great for kayaking. Original architectural drawings. Storage shed, exterior recently painted. 2.5 mile tree lined bird watching trail and playground just steps away. Location!!!! Close to shopping, beach, major highways, restaurants and more!